This Austin bride is wearing a gorgeous Ines Di Santo wedding dress. 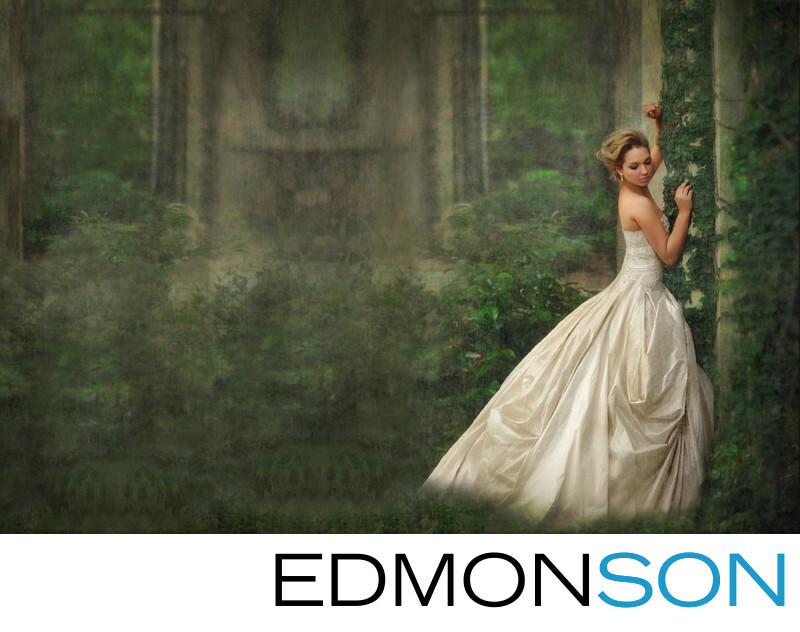 She gained access to the private estate for her portrait session through a relationship of her mothers. This photo shows her in their beautiful gardens with ivy covered stone walls. 1/40; f/3.5; ISO 64; 70.0 mm.